The Tibet Center and Gere Foundation present one of the world's great spiritual leaders and author of An Open Heart and the New York Times bestseller The Art of Happiness. 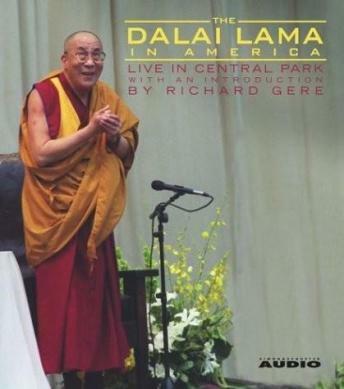 This audiobook captures the Dalai Lama's captivating Central Park appearance in August, 1999 when he brought his message to the masses of New York. According to the Dalai Lama, the very purpose of our life is happiness, joyfulness, inner peace and inner strength. We must have the self-confidence to become aware of our own potential and our own life purpose. By training our mind and our mental perception, we can change our lives and change the world.